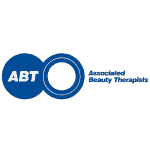 Our lash and brow training courses are developed by industry experts to meet the needs of the professional either at entrance level or advanced for experienced therapists. Developed by industry experts, our nail courses meet the needs of the professional at both entrance and advanced levels. Developed by industry experts, our wax courses meet the needs of the professional at both entrance and advanced levels.